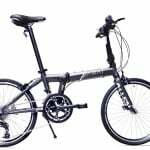 We aim to provide thoroughly detailed reviews of all of the best folding bikes that are currently available. Below you will find a list of all of my folding bike reviews and also a list of my favorite ones. However, first let me tell you a little about myself and my experiences with some of the best folding bikes around. Living in a large metropolitan city undoubtedly has its benefits, and one of them is the exceptional transport networks that are typically associated with them. However, I constantly found myself struggling to get to where I needed to be on time. Whether I was stuck in an endless stream of traffic throughout the city or walking large distances between train stations and my workplace, I was always verging on being late. I started searching for a solution to my time-pressed commuter issues and found that utilizing a mixed form of transport was ultimately the best way to get to where I needed to be – on time. Now I truly reap all of the benefits of it, I am far healthier, fitter and more active than I used to be – and I have the flexibility to go anywhere that I want with my folding bike. These truly magnificent inventions are portable, easily stored away and extremely lightweight to carry. With an almost endless amount of new brands popping up every day, it is becoming increasingly difficult to determine which folding bike will the best for your individual requirements. There is considerable diversity between folding bikes; they all possess differing frames, folding mechanisms, gears and overall purposes too. As a result it is nearly impossible to advise on what bike is the absolute best, however we have answered this question by breaking it down into more manageable segments in our folding bike reviews. 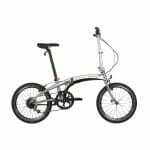 (13.1 kg) 12" × 28" × 36"
(12.4 kg) 12" × 30" × 25"
(10.9 kg) 12" × 30" × 25"
Discover all of our personal favorite folding bikes and detailed reviews for each of them. Follow this link to read all of our best and highest rated folding bike reviews on the site. 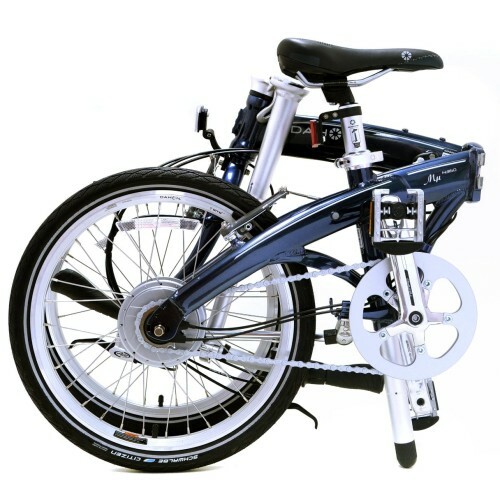 Everybody would love to own a lightweight folding bike, discover our lightest models today. Explore our favorite reviews of all the budget folding bikes on the site at the above link. Free Travel: Folding bikes enable you to save vast sums of money in such a short period of time, whatever your circumstances. Think about it; no transport fees, insurance, fuel, parking tickets or any form of maintenance for your auto-mobile either. Furthermore, you have the capacity to utilise more than one mode of transport with a folding bike. You can it onto any form of public transport and therefore reach your destination far quicker. I personally save upwards of $300 every single month through the use of my folding bike in combination with public transport; buses and trains. Exercise Daily: When I purchased my first folding bike, I never realised quite how much they could help to raise my fitness levels. Way back in 2009 I used to be fairly overweight, and by fairly I mean extremely. Weeks would go by where I very rarely did any physical exercise and was constantly travelling to and from work in my car, then simply vegetating at my desk all day long. 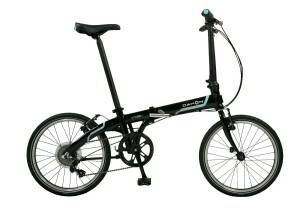 I purchased my folding bike to simply make travelling to and from work quicker and to become less dependent on my car. However, as a direct result of using my first folding bike I managed to lose all of my excess fat, I now look and feel so much healthier. Flexibility: In many cities across the world it is extremely difficult to travel around them in a car (difficulty parking and constant traffic) and you are therefore forced to walk or use public transport to get around. Folding bikes can be carried anywhere, they are smaller than a briefcase and weigh very little. Consequently you are able to take them absolutely anywhere with ease and you won’t have to worry about them being stolen either. 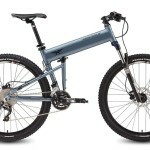 In addition to this, make sure to check out our review of the best folding mountain bikes too. 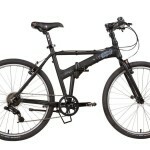 Folding Mountain Bikes: We have provided an article on what we think are the best folding mountain bikes here. These bikes are certainly growing in popularity, whereas in the past they were quite a niche form of fold up bike. They are by far the least portable form of bike you will find here on our site, however they are extremely useful for a wide range of activities. Not only do they offer higher speeds than your standard models, they are also capable of tackling both the road and the dirt tracks too. Another benefit that mountain bikes offer is the capacity to traverse hills relatively easily. This is a result of folding mountain bikes usually having larger 26″ wheels, although this can vary somewhat from manufacturer to manufacturer. An increasing number of brands are taking the step to producing folding bike and mountain bike hybrids in recent years. We believe that in the very near future they will be regularly seen on roads all across the world due to their exceptional usability. 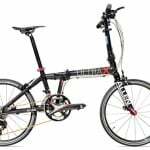 Folding Road Bikes: Another example of a relatively unheard of or unseen style of foldable bicycle is the folding road bike. As many would expect, these are typically the lightest models available, but as discussed previously regarding mountain bikes – they also tend to be moderately less portable than a 20″ model. Conversely, as their name suggests, road bikes are extremely fast on the road and are capable of travelling far faster than motor vehicles throughout a city. If time is important to you, and portability not so, then these lightweight bikes might be the perfect ones for you. Regarding portability, these bikes also tend to have much larger 26″ diameter wheels, but they don’t weigh too much so carrying them around isn’t always a massive drain. Make a final decision on anything in life can be a difficult job. However, when it comes to deciding what is the best folding bike for you personally – things can get a little bit trickier. I believe that the best way to decide is to narrow down your options based on what type of rider you are. What I mean by this is, what is the ultimate purpose of your folding bike going to be? 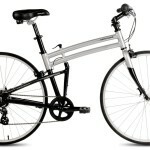 Leisure: The majority of people looking to purchase a folding bike are intending to buy one for leisurely purposes. This generally involves taking your bike short distances away from your home for day trips or small excursions, but not utilizing it as your main mode of transport. Your activities would therefore include taking it to the shops, out around your local town or to even use for part of your commute. If after reading this you would classify yourself as a leisurely rider, you should therefore be looking at purchasing a cheaper model of bike. Fundamentally, you don’t require the highest specification bike and in an ideal sense, you just need a folding bike that will get you safely from A to B. Obviously the higher the specification the better; you want the bike to look good, be comfortable and also be unlikely to break – however, aside from that, you should probably look to cut costs where possible. Some additional considerations for your bikes specification should also be made, including the number of gears your folding bike will have – if you live in a particularly hilly area you should probably go for a bike with more, if not, then less – or even none. Commuters: If you’re not a leisurely cyclist, then you are almost certainly a commuter. In this instance you will regularly find yourself sharing the road with cars over particularly long distances. Traveling to work, for many, is a mundane and unpleasant experience. As a consequence I believe that it is essential that we identify a model to make this as bearable as possible. The best folding bikes for work commutes are generally exceptionally comfortable, fast, lightweight and above all – totally safe and unlikely to break. That sounds like a lot of requests, however the majority of folding bike models have been designed with commuters in mind. This is ultimately what they were designed for, and so you will find a number of models that are perfectly suited for your requirements. Other essential considerations for commuters looking to purchase a collapsible bike include the wheel size and, once again, the number of gears. Wheel size is an essential component because it is directly related to the speed and stability of the bike, likewise with the number of gears too. Given the fact that you will be doing a large number of miles on your bike on an almost daily basis, you should ensure that your bike is quick and totally secure to ride at all times. Mountain Bikers: There is always one anomaly, and this is it. Some people will be actively searching for a portable bike that is capable of surviving off-road. These are typically few and far between, however there is a definite increasing trend in the number of these folding mountain bike models becoming available. Overall, these bicycles are designed to be thoroughly durable and quick over a diverse array of terrains too. These bikes have large, thick and often have large treads too. Furthermore, they are not always too portable due to the fact that they always tend to weigh a little more to increase their riding stability when off-road. Not only that, these bikes characteristically come with shock absorption features to prevent the riding from being thrown around too much. There is a large variety of suspensions that are found on these bikes, some are considerably better than others – but they all essentially do the same thing. Prices on mountain bikes vary drastically, make sure that you weigh up your personal requirements before purchasing one as it is easy to spend astronomical amounts of money on a top of the range fold up bike. Split Fold Mechanisms: This is the most popular type of mechanism, by quite a margin too. Generally found on the average 20″ bikes, but also right up to the largest models too. This mechanism functions by utilizing a hinge located in the center point of the bike’s frame. 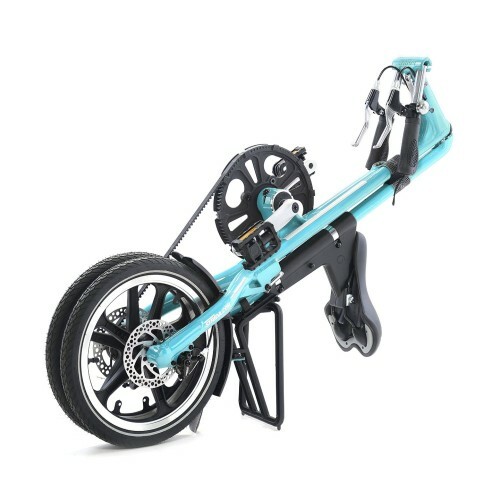 It essentially functions by folding the bike in half. Why would you want to choose this type of mechanism? Well, these folding bikes tend to function the best in almost all circumstances and are also relatively quick to fold away. Why wouldn’t you? The main reason would be that they are generally the most bulky when folded. They are perfect for people that constantly find themselves on the go and for those that have ample storage space. Triangular Hinge Mechanisms: These are becoming increasingly common in today’s bikes – in fact, many believe they are now the gold standard. While I’m currently sat on the fence about this, there’s no doubt that they are a well functioning style. Bike frames containing these mechanisms function by intricately folding together in a particularly compact form. They contain both hinges and clasps – as a result they are slightly more complicated to fold away and usually take more time. However, once folded down, they take up the least space and so they are very useful bike models to carry around on public transport. Break Away Mechanisms: The rarest of the three mechanisms. Whilst the majority of folding bikes are either folded or somewhat taken apart. These bike models function by splitting entirely into two separate pieces. This may sound appealing, however I have found that it takes far longer to fold these bikes away and it can become quite a tedious task too. I would never personally recommend purchasing one of these styles, however there is a small minority of people who swear by them. Aluminium: The benefits of choosing an aluminium based frame are numerous. This has been the material of choice for bike users across the world for many years now, and not for no reason. These bike frames will not rust and are relatively lightweight too. On the down side, aluminium isn’t the strongest material around, however it is a good hybrid and certainly a good choice. Carbon Fiber: The most expensive style of bike frame by a significant margin. Carbon fiber is the lightest type of material and so your bike will weigh virtually nothing. However, expect to break the bank and spend extortionate amounts of cash if you want one of these gorgeous frames. 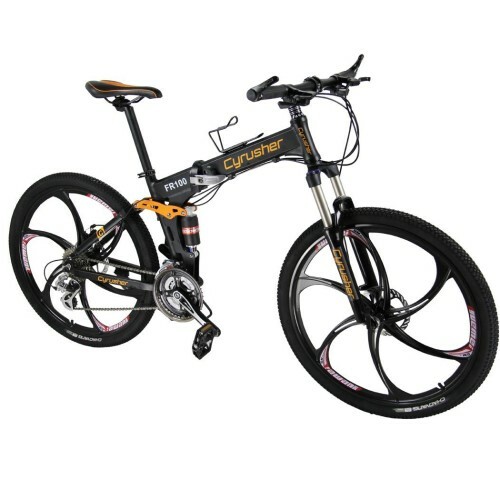 Furthermore, carbon fiber is very easily broken and so it is essential to take care of it if you plan on purchasing one of these folding bikes. Steel: Similar to aluminium in the sense that it has been utilized in bike frames for many years now. It is also resistant to becoming rusty over time. What’s more? It is also a lot more durable than aluminium too. The down sides? Steel is the heaviest of the materials used in bike frames and so it isn’t really an ideal option for a folding bike, given that the majority of people want a portable model. Titanium: A less widely used bike frame material, however it is a totally viable option – if you can afford it. Expect to pay a similar amount as what you would expect for a carbon fiber frame. Titanium bike frames weigh more but are very durable and so you won’t break your bike easily at all. 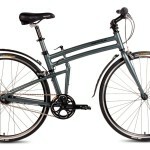 Furthermore, these are the most stable bikes, vibrations are kept to an absolute minimum by these truly premium frames. Size: One crucial consideration that many people often forget to make is to choose a bike that actually fits their bodily dimensions. It is essential to first consider whether you are likely to sit comfortably on your chosen model. And if not – ensure that it is fully flexible and can be adjusted to your size. The last thing that anybody wants is to purchase a bike that simply doesn’t fit them. Remember, the best folding bikes are those that are the most comfortable to ride and transport around with you. You should be looking for bikes that can vary their handlebars, saddles and frames if possible too. In addition to this, you should also be searching for the right size wheel for you; 16″, 20″, 24″ or 26″? 16″ Wheels: These wheels are absolutely tiny, they do not offer the most stability but they are exceptionally flexible on the road. These bikes are specifically designed for short distance leisurely riding and should not be considered if you plan on travelling on them as your daily commuting ride. They are not the quickest style of wheel, however they are by far the most portable. 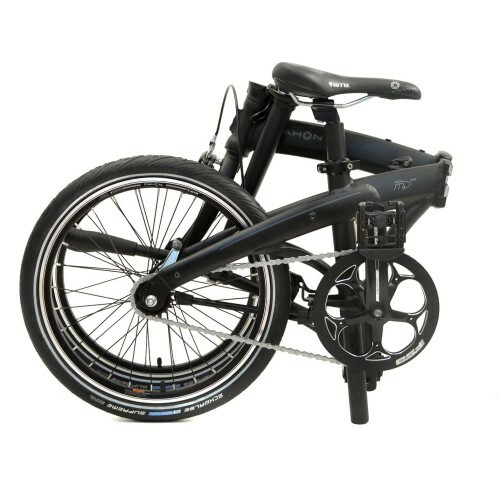 20″ Wheels: Most folding bicycles have 20 inch wheels, these are the quintessential hybrid sized wheel. Not only do they offer good maneuverability, they are also truly agile and portable as well. Perfect for your daily commute, or for your leisurely activities too – definitely one to consider. 24″ Wheels: The larger the wheel, the more comfortable the ride. This is the size of wheel where this statement becomes most evident. While these bikes are not the most portable, they are far more stable to ride and are still a totally viable option to use on your commute. Regardless of whether you require the use of public transportation – these are not overly large wheels and a good model can still be folded down to a reasonable size. 26″ Wheels: The largest style of bike wheel, typically found on folding mountain bikes. This is somewhat of a niche wheel size and is certainly rarer than the other wheel sizes discussed above. They offer the most stable and therefore comfortable ride as a result of their outstanding shock resistance. However, they are quite large and cumbersome to carry around on a daily basis. Gears: One bike configuration variable that people tend to get stuck at is whether or not to purchase a geared model. I will break this decision down for you so it is easy to digest. Single speed bikes function via a single chain, they are slow at accelerating, have a high top speed and generally struggle at climbing hills. However, these bikes are the most reliable and so many choose to use them for their daily commute. Geared bikes accelerate quickly, can traverse hills with relative ease and also have a high top speed. The downside is that these bikes are liable to breaking. I would personally recommend purchasing a bike with three to eight gears. Thank you…years ago… living in CANADA I purchased and rode a folding bike……I appreciate the comments on size of tires and stability as it has now been 40 years since I last used a folder…I have promised myself that I will purchase within the next 2 weeks…I now have clarity and will put trainers on for the first 30 days…but what a joy…thank you again! do folding bikes come assembled ? Great, informative website – thanks! Any particular reason why you don’t review Bromptons? I’m looking for a 20″ folding bike that fits my height at 6’3″. What do you recommend? Are there folding bikes that have coaster and disc brakes? Are there folding bikes that have coaster and disc brakes? Also are there times where the these type of bikes will dismantle while riding?